CDs 1 and 2 hold all Slim Harpo's Excello label 45s and original album tracks. CDs 3 and 4 have all the recordings unissued in Harpo's lifetime and all the alternative takes of issued songs. CD 5 features a live recording made in 1961, one of the very earliest to capture an original and important blues artist in their prime. There are four previously unissued live songs and one previously unknown song. 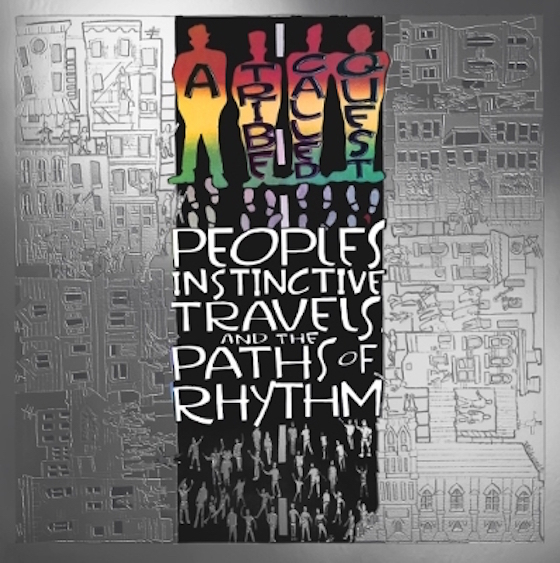 Vaunted Nineties hip-hop group A Tribe Called Quest, whose five albums blending jazz and rap set a sonic template that continues to reverberate and influence today, will kickstart a massive reissue campaign on November 13th with the re-release of their groundbreaking 1990 debut Peoples' Instinctive Travels And The Paths of Rhythm. The re-release will feature new remixes by as-yet-unnamed artists and will be remastered by Bob Power, the engineer best known for his work with D'Angelo and the Roots who worked with Tribe on the group's first three albums. A complete list of remixes will be announced in the coming weeks. Amy Winehouse — The Collection, the eight-disc compilation is due out on December 11. Each disc will arrive pressed on 180-gram vinyl, and the set will include a bespoke litho print and collection of photographs from Frank and Back to Black sessions. You can buy them on CDJapan. I really like Brenda Russell's "Two Eyes" album. This will be the third CD pressing after the original Japanese CD and David Nathan's Spy Records remaster in the early 2000s. I wonder what the bonus tracks with be as I think there was only a short remix of the title track from that era that I haven't heard before. If BBR were able to secure all of these bonus tracks along with the "Two Eyes" remix then I will probably buy this reissue. There's a lot more possibilities than I thought! Not the truly expanded reissue I was hoping for but here is the track listing for Evelyn King's "Flirt", available November 13 courtesy of Caroline/Soulmusic.com. Thankfully, it will include the ultra rare remixes for "Kisses Don't Lie". the definitive anthology for Change on 4th December. Reach for the Sky: The Change Anthology will be coming on 2xCD Digipack in December, with a 3xLP vinyl version scheduled for early 2016. Here are clips and more info on the album, including the full track listing that includes unreleased versions, and a fantastic new remix by Mike Maurro. Reach for the Sky: The Change Anthology offers the very best of Change, the innovative studio group masterminded by Jacques Fred Petrus that launched Luther Vandross’ solo career with the Top 20 U.K. hit Searching and the number one dance classic The Glow of Love. This two disc, 28-track collection spans the group’s six albums from 1980-1985 and includes every single that made the pop, R&B, and dance charts in the U.K. and U.S., plus an exclusive bonus remix of It’s A Girl’s Affair by Mike Maurro. Reach for the Sky features a 24-page booklet with rare photos, plus new interviews and a track-by-track commentary by those who helped define Change’s biggest hits, including Jocelyn Brown (A Lover’s Holiday), Diva Gray (Paradise), James “Crabbe” Robinson (The Very Best In You), and Deborah Cooper (Change of Heart). Groove Line Records cut no corners when making sure that each and every one of our releases has the highest quality performance possible. Newly remastered and adorned with Greg Porto’s iconic artwork throughout, including this release’s front cover (previously only seen on the group’s 1984 Italian greatest hits LP sleeve) Reach for the Sky will lead Change lovers to paradise. Sam Smith has just announced that he is re-releasing his award-winning (and chart-topping) debut album In The Lonely Hour as the new, double-disc set In The Lonely Hour: The Drowning Shadows Edition -- a move that he calls his "final bow" before his second album. The release's second disc will be filled with one-off tracks and covers, as well as a brand-new song called "Drowning Shadows." Produced by frequent Smith collaborators Jimmy Napes and Steve Fitzmaurice, "Drowning Shadows" is "a stripped back, heart-wrenching ballad" per the press release (would you expect anything less?). Also included are covers of Amy Winehouse and Whitney Houston, as well as Smith's collaborations with Mary J. Blige, Disclosure, and more. All-New Editions of The Beatles 1 Pair Beautifully Restored Promotional Films and Videos with Brand New Stereo and Surround Audio Mixes! The Beatles 1 was originally released in 2000 and quickly became the fastest selling album of all time. Featuring 27 of the band's most significant singles, all of which reached #1 in the US or UK charts, this brand new 2 Blu-ray/CD set represents the ultimate collectors edition of The Beatles 1, featuring all 27 tracks on CD, all 27 promo videos on Blu-ray Disc 1, and an additional 23 videos on Blu-ray Disc 2, including alternate versions, as well as rarely seen and newly restored films and videos. All the videos have been beautifully restored up to 4K resolution by a team of film and video technicians and restoration artists who have undertaken painstaking frame-by-frame cleaning, color-grading, digital enhancement and new edits that took months of dedicated, ‘round-the-clock work to accomplish. This stunning 2 Blu-ray/CD set boasts an expanded 124-page illustrated hardcover book, and also includes exclusive audio commentary and filmed introductions by Paul McCartney and Ringo Starr respectively. 1+ also features fantastic new stereo and 5.1 Dolby Digital and DTS HD surround audio mixes by Giles Martin and Sam Okell at Abbey Road Studios. CD/Blu-ray 1 songs and videos include: "Love Me Do," "I Want To Hold Your Hand," "Can't Buy Me Love," "I Feel Fine," "Ticket To Ride," "Yesterday," "Day Tripper," "We Can Work It Out," "Paperback Writer," "Penny Lane," "All You Need Is Love," "Hey Jude," "Something," "Come Together" and more! Blu-ray 2 videos include: "Twist & Shout," "Please Please Me," "Rain," "Strawberry Fields Forever," "A Day In The Life," "Hey Bulldog" and "Free As A Bird." 50 years ago today on September 8, 1965, when producers Bob Rafelson and Bert Schneider placed a classified ad in The Hollywood Reporter seeking “4 insane boys,” they had no idea that they were about to unleash Monkee-mania! But that’s exactly what happened the following year when the first episode of “The Monkees” debuted on NBC on September 12, 1966. On the 50th anniversary of that fateful casting call, Rhino is excited to announce the upcoming release of the entire series (58 episodes) in stunning high-definition Blu-ray for the very first time, painstakingly restored from the newly located original film negatives. The 10-disc Blu-ray collection with also include the 1968 cult-classic “HEAD,” along with many never-before-seen outtakes from the film. It’s the beginning of many surprises planned to celebrate The Monkees’ 50th anniversary in 2016. While we don't have final package art yet, we will be revealing it soon, along with behind-the-scenes making-of videos and samples of the stunning new transfer vs. the current versions, plus plenty of surprises, like this original TV spo...y 50 years! Shipping January, THE MONKEES - THE COMPLETE SERIES ON BLU-RAY is now available for pre-order exclusively at Monkees.com. This fan edition is individually numbered and is strictly limited to 10,000 sets – this WILL sell out quickly, so place your pre-order now! IN RECORD STORES ON TUESDAY NOVEMBER 10th! The Isley Brothers’ never-before-released Groove With You…Live! features non-stop R&B jams from one of the most influential groups of the 20th century, including the hits “That Lady” and “Fight the Power” plus fan favorites “Here We Go Again,” “Summer Breeze” and “Voyage to Atlantis.” Originally prepared in 1980, this 2LP set is available for the first time as part of Record Store Day Black Friday, pressed on exclusive 180-gram blue and gold 12” vinyl and housed in a gatefold jacket, designed to look like a classic release from The Isley Brothers’ T-Neck discography. "Introduction", "That Lady", Here We Go Again", "Don't Say Goodnight", "Medley: Hello, It’s Me/Footsteps/For The Love", "Take Me To The Next Phase", "Fight The Power", "Groove With You", "Summer Breeze", "Say You Will", "Voyage To Atlantis", "It's a Disco Night (Rock Don't Stop)", "Band Introductions", "Livin' in the Life / Go for Your Guns", "Outro"
S.O.S. Band Complete Single Collection - double disc set due out in Japan on December 16, price equivalent to £12.85. "Japanese original compilation album. Features the latest digital remastering. Includes "Just Be Good to Me," a masterpiece by Jimmy Jam and Terry Lewis. Comes with a 16-page booklet with lyrics and a new description. Special Feature / Bonus Track: a bonus track (solo single by Mary Davis)"
Universal Music will release a standalone twelve-inch vinyl of Queen‘s classic 1975 single Bohemian Rhapsody later this month. This 40th anniversary release is due on ‘Black Friday’ and it is the first time the song has been available on 12-inch vinyl, although a similar twelve-inch is featured in the super deluxe edition of the A Night at the Odeon which is slated for release a week earlier. The key difference is that the B-side to this standalone twelve-inch is I’m In Love With My Car, whereas the record in the box set features a previously unreleased soundcheck of Now I’m Here on its flipside. 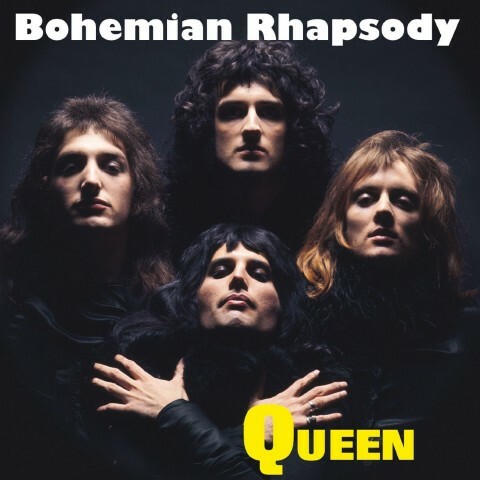 Availability of this Bohemian Rhapsody single is currently limited, although you can pre-order now from Amazon Italy. The Bohemian Rhapsody twelve-inch is released on 27 November 2015. 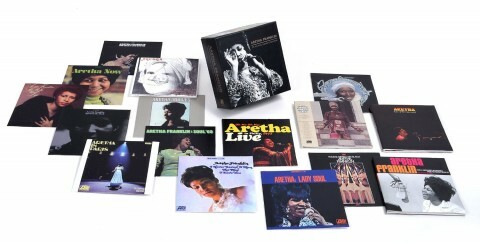 This collection contains 16 Aretha albums, including Lady Soul, Young, Gifted and Black and the deluxe version of Live At The Fillmore West. All CDs come in vinyl replica card sleeves, housed in Rhino’s usual clamshell box. Aretha has the rights for her last 5 albums on Atlantic. A few songs (4) were on Queen Of Soul box set back in 1992 but not on the similar one of 2014. I hear she's asking for too much money for the last 5 albums to be reissued. that's why we haven't seen them. It's not because she doesn't want them reissued. 25th Anniversary deluxe “45s Box” was created in collaboration with the group and is a vinyl companion piece to Tribe’s Anniversary celebration. The whole thing on 45s, lol. George Michael‘s 1990 single Freedom! ’90 will be reissued as a special limited edition twelve-inch picture disc at the end of November, for ‘Black Friday’.